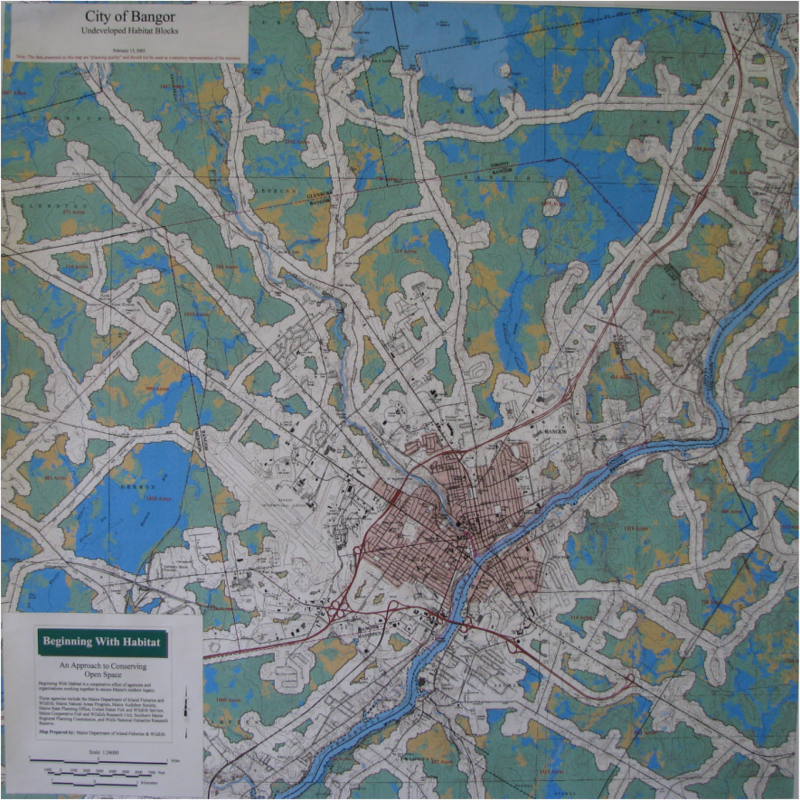 The map above shows developed land with white, agricultural lands in yellow, forested land is green and wetlands are blue. 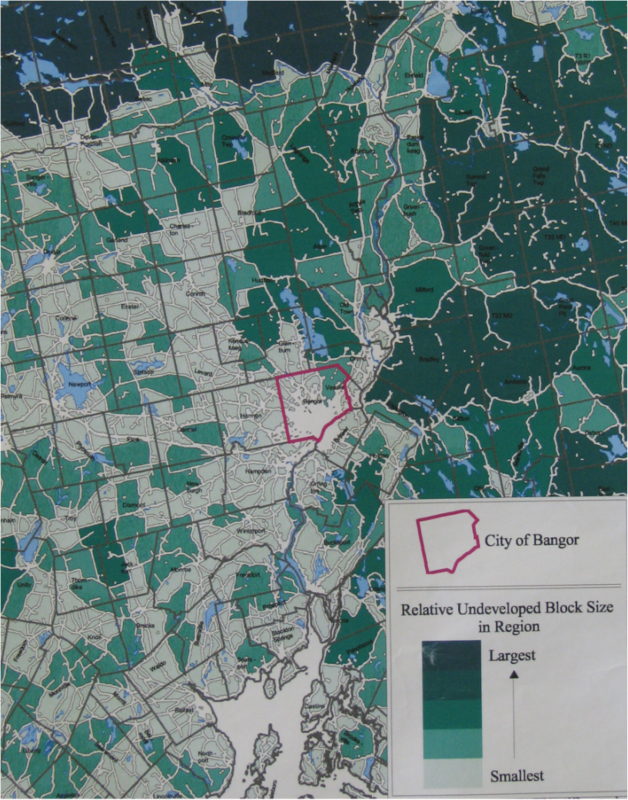 This map below shows darker shades of green for larger undeveloped habitat blocks. Bangor is outlined in red.